â&#x20AC;&#x153;Elaine makes it her job to get to know her clients on a personal level. â&#x20AC;&#x153;Words canâ&#x20AC;&#x2122;t do justice to what a fabulous realtor Elaine is. 60 BUCK COURT, WOODSIDE Offered at $5,998,000 4 bed | 4 bath | 4,300 sq ft | 1.145 acres West Menlo Park Schools! (Las Lomitas & La Entrada) Within the main residence there are approximately 4,300 sq ft. The 4bd 4ba estate home is on a private 1.145-acre “ﬂag-lot” that was built in 2000 and has been tastefully updated since then. The home boasts a grand Master Suite and 2 large bedrooms upstairs as well as a very nice guest suite downstairs. The gourmet chef’s kitchen is well appointed and there is a huge great-room/living room, a private dining room and a cozy family-room off of the kitchen. Behind the home is a spacious patio and pool area with a Jacuzzi, a built-in bar and BBQ, dining areas and a shaded ﬁreplace area. Behind the pool and patios is a full 1-bedroom 1-bath guest house as well as a large pool-house that is connected to it (that could be a second bedroom) and is currently used as a large open office, with its own full bathroom. There are two large 2-car garages onsite, one is connected to the main home and another next to it that is currently being used as a gym. There is also a great play area next to the guest house and behind the detached garage, that has endless possibilities for other uses. Above and to the right of the main residence is the magical wine cellar “Castle” that used to be part of the Buck Estate. There are 2-huge stone patios in front and behind this building that are perfect for dinner parties and entertaining! YOUR ADVOCATE IN EVERY TRANSACTION! Browsing by Budget What can you get along the Midpeninsula for $1 million, $4 million, $10 million? 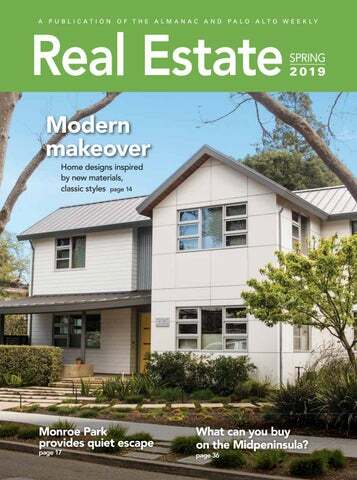 Editor: Linda Taaffe Designer: Linda Atilano On the cover: This Palo Alto home on Seale Avenue features modern, clean lines and new weather-resistant materials on the exterior. Photo by Veronica Weber. CARRIE DAVIS your teammate in real estate As an athlete and former coach, Carrie knows how to compete, work as a team and most of all, WIN! BUYING OR SELLING YOUR HOME? Let Carrie use her competitive edge to negotiate the best results for your real estate needs. This ultramodern house in Palo Alto’s Crescent Park neighborhood features retractable walls of glass on the main floor as well as cutting-edge amenities, such as whole-house automation. This historic 1897 home in Palo Alto’s Professorville that sold in 2016 was gutted and updated, blending historic details with modern features. success in the MidPeninsula real estate market is no secret. Born and raised in Palo Alto with family roots in the area dating back to the 1920’s, he has a thorough and intimate knowledge of the community, and the personalities that shape it. His experience and expertise have enabled Derk to attain the status of top producing agent in the Palo Alto office, as well as being among the elite agents in the United States. Derk’s philosophy of client service differs signiﬁcantly from most top producing agents. He offers a hands-on, personal approach to the sale of a home. This extends from the preparation process through the close of escrow. Rather than handing a client off to a series of assistants, Derk manages every aspect of the sale including property prep, marketing, open houses, negotiation, and closing. This provides a seamless transaction from beginning to end. Alain Pinel Realtors’ partnership with Luxury Portfolio International ensures that in addition to local and national marketing, Derk’s clients beneﬁt from extensive international exposure through a large network of brokerages throughout the world. If you are considering selling or buying a home in the mid-peninsula, contact Derk to leverage the expertise of a true local. â&#x20AC;&#x153;For over 60 years, Midtown Realty has been assisting its neighbors and friends with one of the most important purchases in their lifeâ&#x20AC;Ś their home! At Midtown Realty, we are dedicated to working with people, not clients. We sell homes, not houses and Palo Alto is our home, not a branch RĹąFH<HDUDIWHU\HDUSHRSOHWUXVWXVWRKHOSZLWKWKHLUPRVWLPSRUWDQW LQYHVWPHQWWKHLUKRPH<RXWRRFDQFRXQWRQXVIRUDOO\RXUUHDOHVWDWH needs. Give us a call today.â&#x20AC;? The “poker room” is among the many custom details in this 20-room house on Los Trancos Road that made headlines last June when it went on the market for $96.8 million. The four-story home also features a full indoor gym with a basketball court and climbing wall (at right), a pizza room, dance floor, wine cellar, billiard room, and a multi-purpose indoor ice rink and sports pavilion with its own locker room. Real Estate, recommended: Find Realtors of the human variety who are knowledgable about local neighborhoods. They have the ability to locate unique, unusual or custom properties, she said. Barca, who often works in neighborhoods with homes that have historic or architectural significance, said she has learned to seek out a subset of prospective buyers who appreciate older, historic properties. “There are old-home people and newhome people,” she explained. Barca said she gravitates to online blogs and architectural magazines that feature older and unique properties to market to buyers who have a taste for the unconventional. and ensures you get the maximum amount of press.” Welsh is currently marketing two, twobedroom duplexes in Cupertino located in a neighborhood that includes muchlarger single-family homes with average values around $3.5 million. The duplexes — one 1,200 square feet and the other 1,400 square feet — sit on a 9,000-squarefoot lot directly across the street from a 3,300-square-foot single-family home. The novelty of such an unusual property in “phenomenally high-end Cupertino” is what Welsh emphasizes to potential buyers. “In talking to clients, I talk about a two-unit duplex in this beautiful neighborhood,” she said. “A buyer might be interested in living in one of these units, and renting out the other. It may appeal to a couple who would like to have their parents live next door. In a location not surrounded by rentals. We want people to see the potential in a property like this.” Barca said sometimes you have to think even further outside the box for some of these one-of-a-kind properties. Several years ago, Barca said she found a unique way to market a singular property on Fair Oaks Lane in Atherton — a 9,000-square-foot home built as a summer retreat in the late 1920s by famed San Francisco businessman and philanthropist Herbert Fleishhacker. He helped fund the construction of what was once one of the world’s largest outdoor heated public swimming pools in San Francisco. When subsequent owners decided to sell the house, Barca was faced with a marketing challenge: How to sell an iconic home that looked “very lived-in” at the time. Local interior designers from throughout the Bay Area came to the rescue. Barca said they turned the house into a stunning decorators’ showcase, with individual designers transforming each room in the house. “It took a year to do the makeover, but the exposure the showcase gave the house was phenomenal,” she said. Q David Goll is a freelance writer. He can be emailed at David.w.goll@gmail.com. This 6,000-square-foot home in Woodside, which sold in December 2018, sits on five acres and includes a pool house that overlooks the pool and an outdoor kitchen. Why do so many sellers and buyers choose Elyse? Credentials Matter. But true success is always measured by the client. The former garage of this Eichler home in Palo Alto, which was converted into this family room, includes glass walls and other midcenturymodern features that local architects say are making their way back into new construction. This vintage photo shows the living room of an Eichler home in Palo Alto just after it was built in the 1950s. Eichler’s geometric homes helped define the “California Modern” style. lines and glass walls, said he’s seen a resur- fireplace and chimney that separated two gance in the popularity of the midcentury living spaces. “But after thinking about the modern home. People recognize them for floor area it took up, and multiplying that by the cost of the house in square feet, they they are: “classics,” he said. “Most people still want ‘great room’ liv- realized they were losing something like ing, but we also are starting a couple projects $50,000 to $60,000 of useable floor area,” where the clients are more interested in a he said. Instead, he is designing a smaller flowing set of spaces that, while connected, gas fireplace that’s not in the middle of the can still be separate and provide some space living space. Exterior textures for family members to also have changed with ‘escape’ while still being improved technology, connected with the rest ‘It seems that all Hesse said. Fiber cement of the family.” Klopf said he’s also of the new houses panels, for example, is a material he’s using on had recent requests to denew modern homes. The sign homes in a “transiare modern to thin, dense synthetic mational style,” which comsome extent, terial is weather and terbines the modern, open mite resistant, he added. floor plan with more tracleaner lines, Corrugated sheet metal ditional trims, symmetry is another material he and smaller openings benatural materials, favors. tween rooms. “I think it is adding a One thing that seems bigger windows, lot to the fabric of neighto be going out of favor borhoods to see modern in Klopf’s experience: more open plans.’ houses interspersed with fireplaces. 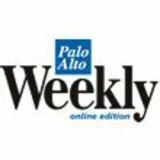 — Karen Zak, traditional homes and “When it comes to preMenlo Park architect older homes,” Zak said. serving a wood-burning “Many of the modern fireplace, only older clients or European clients are much interested and new homes are really well designed in that anymore. Some people still want to and engaged in the context of the neighboradd in a gas fireplace, but we do a lot of hood. They are not just commercial-styled, projects where people just want to eliminate big plain boxes.” Q the concept of a fireplace altogether.” Elizabeth Lorenz is the former Home & In one Eichler house, Klopf’s clients Real Estate editor. She can be emailed at originally wanted to keep the large brick elizabeth_lorenz@yahoo.com. Architect John Klopf, who focuses almost exclusively on renovating or rebuilding Eichler homes (like the one pictured here that he remodeled in Mountain View in 2017) said he’s seen a resurgance of homeowners seeking open floor plans, sleek lines and glass walls — all features popularized during the midcentury-modern building boom that started in the late 1940s. Photo by Veronica Weber. Compass + Colleen = Values Aligned 01 / Dream big. 03 / Learn from reality. 05 / Obsess about opportunity. 06 / Collaborate without ego. 07 / Maximize your strengths. 08 / Bounce back with passion. VBbUOpWbloWKOÛKdbMWsWdbÛpB_OdozWsVMoBzB_aB|JOaBMOzWsVdtsbdsWKOà!dpsBsOaObsWpaBMOBpsd accuracy of any description. All measurements and square footage are approximate. Kathleen is a Palo Alto native who has successfully helped buyers and sellers in this local market for over 17 years. Professional Service with a Personal Touch! (650) 450-1912 kathleen@kathleenpasin.com www.kathleenpasin.com DRE# 01396779 7KLVLQIRUPDWLRQZDVVXSSOLHGE\WKLUGSDUW\VRXUFHV6DOHV$VVRFLDWHEHOLHYHVWKLVLQIRUPDWLRQLVFRUUHFWEXWKDVQRWYHULÜHGWKLVLQIRUPDWLRQ and assumes no legal responsibility for its accuracy. Buyer should verify accuracy and investigate to Buyer’s own satisfaction. Top: Linnea Wickstrom, president of the Monroe Park Neighborhood Association, stands at Monroe Park, for which the neighborhood is named. Photo by Veronica Weber. Above: The redeveloped 56-acre San Antonio Shopping Center, which is just about a mile away, features two shopping districts with dozens of restaurants, a movie theater and other commercial space. While residents say they enjoy walking to the nearby shopping district, some are concerned that the changing landscape is bringing too much cut-through traffic into their residential neighborhood. Photo by Magali Gauthier. collected from Nextdoor.com Krakowski said she likes that the neighborhood is attractive to both renters and owners. She said the neighbors are tightknit and often connect through Yahoo to organize block parties and other events. “There has always been a sense of community in the neighborhood,” she said. A large part of that was fostered by one particular longstanding neighbor, known as the “Mayor of Monroe,” who died in December. “Now, we have to remind ourselves to carve out time to get out into the neighborhood, participate in block parties and take evening strolls to continue to actively connect with our neighbors,” she added. While some of the quaintness of the neighborhood architecture is changing as the single-story ranches and bungalows are getting replaced with newer, larger and modern homes, Krakowski said she doesn’t consider the change a bad thing. “It makes the neighborhood a bit more eclectic,” she said. Q Melissa McKenzie is a freelance writer. She can be emailed at melissa.r.mckenzie@ gmail.com. Bod_|bKdaOpzWsV more than a decade of personal experience selling real estate, expanding on her deep family roots in the business. She maintains close ties to the Palo Alto community where she grew up watching her father do business — a well respected broker in Palo Alto for thirty years. Building and connecting to community have always been important to Carolyn — in Palo Alto, in Newport Beach where she started selling real estate in 2005, and in Los Altos Hills where she lives now. /VOVBpBbWbsObpOMOpWoOsdVO_lVOoK_WObspbM what they are looking for, providing them with a smooth, comfortable experience as they connect to communities that may be new to them. VBbUOpWbloWKOÛKdbMWsWdbÛpB_OdozWsVMoBzB_aB|JO made without notice. No statement is made as to accuracy of any description. All measurements and square footage are approximate. Contact Us To Find Your Dream Ranch! Pleasant Valley Ranch is a 755-acre Sierra retreat with lush meadows, a beautiful trout creek, and alpine forest. The towering granite peaks above the valley provide a Yosemite-like landscape. A modern cabin is your base for exploring this recreation paradise. Minutes from Markleeville and near Lake Tahoe. $11 Million. Homes priced between $1.6 million and $3 million will be the hottest part of the spring market, but there will still be some activity for big properties in places like Los Altos Hills, Portola Valley and Woodside among upper-echelon executives purchasing investment homes. Photo courtesy of David Troyer. Laurel Robinson and Leannah Hunt, Realtors at Sereno Group in Palo Alto, anticipate a more stable real estate market this spring and don’t foresee a recession on the horizon. Three- to four-bedroom homes in more established communities with good school disricts like Palo Alto and Menlo Park will be the hottest properties on the market this spring for those tired of commuting to work from San Francisco. Inventory is expected to rise as more longtime owners opt to sell and move out of the area. Square footage, acreage, and other information herein, has been received from one or more of a variety of different sources. Such information has not been verified by Alain Pinel Realtors®. If important to buyers, buyers should conduct their own investigation. Denise Welsh, broker associate for Alain Pinel in Los Altos, said favorable interest rates and a bit more inventory should bring a more balanced market this spring. Many buyers are willing to compromise size for location, making smaller homes and condos near vibrant downtown areas or close proximity to one’s work hot properties this season in Palo Alto, Menlo Park, Mountain View, Los Altos and Redwood City. Redwood City and Mountain View could be available for less than $3 million, she added. “But a lot of these families want the schools in Palo Alto, Menlo Park and Los Altos, so sometimes they have to accept a smaller house than they really want,” Robinson said. “They also want to be near vibrant downtown areas, shopping and in close proximity to work. If we have a slew of IPOs, the housing demand from millennials will be even stronger.” New limits on tax deductions stemming from changes in the tax code made last year by the Republican-controlled Congress, however, could put the brakes on a more robust spring market. The deduction is capped this year at $10,000. “It’s possible it, and other factors, could hold some people back, but I don’t expect it to be a seismic jolt this spring,” Welsh said. She has seen some of the same trends as Hunt, including a fair number of older Midpeninsula homeowners finally taking the plunge of selling their homes as they seek more comfortable, affordable retirement living in less-expensive parts of California or outside the state. As in past years, the lower-end of the price scale on the Midpeninsula — which could buy a veritable mansion in many other parts of the country — will “fly off the shelves” this spring, according to Welsh. That would be under $2 million in Mountain View and $2.5 million in Los Altos, she said. Hunt agreed. “The $1.6 million to $3 million price range will continue to be the hottest part of the market,” Hunt said. “But, you still do have the upper-echelon executives who can afford $4 million and up and are being urged by their investment advisors to buy big properties in Los Altos Hills, Portola Valley and Woodside.” If changing personal circumstances are persuading many local homeowners to put their houses on the market this spring, it’s often the region’s highest rents in the country that will motivate people to buy in 2019, Hunt said. The average apartment rent in Palo Alto in March was $3,163, up 4% compared to a year earlier, according to internet listing service RentCafe. “Rents are so high here,” she said. “So, some renters just decide to take the plunge and buy.” Q David Goll is a freelance writer. He can be emailed at David.w.goll@gmail. com. The Mission of Sereno Group’s REALTORS®: We strive to stand above. We aim to delight everyone and thoughtfully support our local communities. We are the antidote to mediocre and indifferent real estate experiences. HOME is at the heart of everything we do. • Laurel was born and raised in Palo Alto and is a graduate of Palo Alto High School. Leannah has lived here for over 40 years. C A L L T H E T E A M W H O L I V E S , WO R K S A N D U N D E R S TA N D S YO U R N E I G H B O R H O O D .
centers on a bit more land. Menlo Park, Los Altos and Palo Alto cost closer to at least $3 million but have their intrinsic attractions. Atherton’s price is higher, for those who want more acreage (1-acre minimum) and more privacy. East Palo Alto is an up-and-coming market where the median price will soon be more than $1 million. These days, amenities abound at all price points, with chef’s kitchens in condos attracting buyers as well as guest houses and gyms on larger estates. Description: This home has an updated kitchen, a built-in barbecue in a quiet backyard that has a lot of room for entertaining. Address: 278 Monroe Drive, Apt. #5 List price: $875,000 Bedrooms: 2 Bathrooms: 1 Interior: 939 sf Lot size: Not applicable Year built: 1962 Description: Well-maintained townhome in the private Adobe Creek complex on the Palo Alto border. Recently updated kitchen with stainless steel appliances, hardwood floors throughout, and newly remodeled bathroom. Spacious and inviting living room, private patio off the dining area, and a balcony off both upstairs bedrooms. Address: 3849 Page Mill Road List price: $3,388,000 Bedrooms: 4 Bathrooms: 4 full, 1 half Interior: 5,008 sf Lot size: 10 acres Year built: 2006 Description: This secluded property has a wraparound Craftsman-style facade that embraces its open-space setting. Views of the bay and mountains from every window. This three-story home has an office, library, sewing room, recreation room, lots of storage, 3-car garage, and array of high-tech amenities. Description: This home is located on a quiet cul-de-sac in the Portola Valley Ranch community. Surrounded by hundreds of acres of open space, this home offers a spectacular combination of livability and nature. Address: 2266 Addison Ave. List price: $899,950 Bedrooms: 2 Bathrooms: 1 Interior: 900 sf Lot size: 4,199 sf Year built: 1938 Description: This home’s open floor plan offers a large family room/kitchen, including a dining area. The updated kitchen has a glass-tile backsplash, wood cabinetry, a window over the stainless steel sink and all new stainless steel appliances. There is also a large attic, perfect for a hobby room. UNDER $5 MILLION PORTOLA VALLEY Address: 100 Alamos Road List price: $4,900,000 Bathrooms: 2 Interior: 3,600 sf Lot size: 2.5 acres Year built: 1953 Description Opportunity to build on 2.5-acre site in Westridge community, with views toward Felt Lake and the western hills. Main house, plus one-bedroom guest house, carport and two-stall horse barn. Pool is empty. Sport court has cracks and failing fence. Availability to connect to the sewer. Address: 25840 Vinedo Lane List price: $4,999,998 Bedrooms: 5 Bathrooms: 4 full, 1 half Interior: 4,840 sf Lot size: 1.13 acres Year built: 1979 Description: This home features an open floor plan with a luxurious master suite, gourmet kitchen and great room with dramatic ceilings and spectacular views. There’s a separate guest area with full kitchen, bath, dining area and family room, as well as a sport court. Address: 2281 Byron St. List price: $7,998,000 Bedrooms: 5 Bathrooms: 5 full, 1 half Interior: 5,665 sf Lot size: 11,570 sf Year built: 2009 Description: This home is made for grandscale entertaining. The floorplan includes formal gathering rooms, a chef’s kitchen, a master suite and a dedicated office on the main floor. The second floor features a private bedroom suite with a balcony, and an oversized game room, entertainment center and home gym are on the lower level. Outside, the stone patio and fireplace set the stage for all-season alfresco entertaining. Description: A private oasis in central Woodside with gated cobblestone driveway and motor court. Classic elegance inside and out. The magnitude of the two-story home accommodates any lifestyle need with main- and upper-level master suites, plus four bedrooms and two shared baths. Executive office with bath, gym and recreation area. Grounds include pool, spa, tennis court, terrace, sweeping lawn, playhouse and large vegetable gardens. Address: 1141 Cotton St. List price: $4,995,000 Bedrooms: 4 Bathrooms: 3 full, 1 half Interior: 3,150 sf Lot size: 10,079 sf Year built: 1951 Description: Remodeled home with handhewn hardwood floors, high ceilings in every room, detailed crown molding and wainscoting with optimal lighting everywhere. Designer bar and wine cellar for more than 300 bottles. Formal living and dining room, plus all-white gourmet chef’s kitchen. One level with gorgeous master suite, additional suite, plus two additional bedrooms. Almost one-quarter acre with front patio, rose gardens and private backyard. Address: 1 Heritage Court List price: $5,570,000 Bedrooms: 5 Bathrooms: 5 full, 2 half Interior: 4,293 sf Lot size: 0.49 acre Year built: 1912 Description: This Mediterranean-style home features a gated entrance opening to a circular driveway with beautiful brick work. Extensively remodeled, the kitchen has limestone and custom cabinetry, large baseboards and ornate tile. Separate area for guests or family. Finished basement could make a theater or a game room. The backyard features a pool with built-in hot tub and free-standing sauna. For a private showing of these homes, or for more information, please contact us at any time. Square footage, acreage, and other information herein, has been received from one or more of a variety of different sources. Such information has not been veriﬁed by Alain Pinel Realtors®. If important to buyers, buyers should conduct their own investigation. showed the lowest increases, just behind Palo Alto. The area’s year-over-year rent growth leads the state average of 1.1%, as well as the national average of 1.3%. t’s been six years since the 97-year-old iconic Roger Reynolds Nursery & Carriage Stop closed its doors in Menlo Park. During that time, the property has been transformed into a luxury residential development with units now on the market. Developer: Pulte Homes Cost: Not available. Visit the website of these ﬁne residences. local real estate transactions. She has a long and deep knowledge of the area and is closely tied to the community. Her understanding of a client’s needs and best course of action is top-notch! – H. & A. G.
A Fresh Approach Relentless energy. Relevant expertise. And results above and beyond expectations — every time. Judy has built BoOltsBsWdbBpBOoKOÛVBbMpødbBMydKBsOTdoVOo clients. Her data driven analytics combined with her sVdtUVsTt_BllodBKVBbMMOOl^bdz_OMUOpOsVOoBlBos WbsVOWbMtpso|à/VOĆpKdbpWpsObs_|bBaOMBpdbOdTsVO Wall Street Journal’s top agents nationwide.